While approximately 83% of patients had ≥1 adverse event during the study, most events were mild or moderate in severity. Oral PBI-4050, a low-molecular weight 3-pentylbenzeneacetic acid sodium salt, alone or in combination with nintedanib or pirfenidone, was well tolerated and associated with no serious adverse events (AEs) during a 12-week treatment period in patients with predominantly mild or moderate idiopathic pulmonary fibrosis (IPF), according to phase 2 study results published in the European Respiratory Journal. Investigators enrolled a total of 41 patients (age ≥40 years) with IPF across 6 Canadian sites in their open-label study. 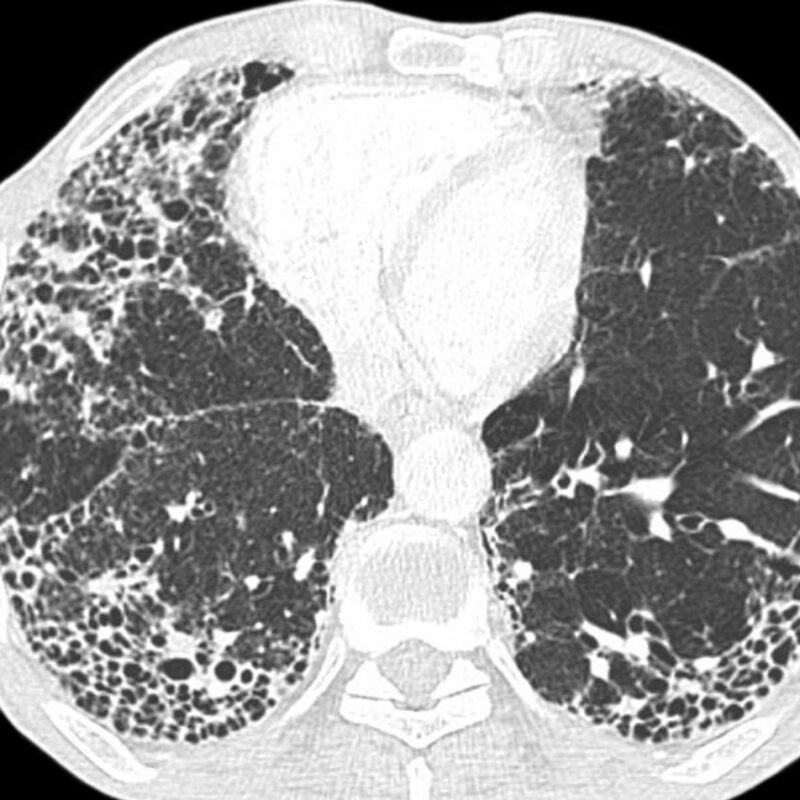 At the time of screening or within 12 months before initiation of the study drug, patients underwent high-resolution computed tomography (HRCT) scans of the thorax. During the 12-week study period, patients received once-daily oral 800 mg PBI-4050 (four 200-mg gel capsules). The researchers also allowed nintedanib, pirfenidone, and corticosteroids to be administered during treatment. Safety and tolerability of treatment, which included patient-reported AEs, clinical laboratory tests, vital signs, electrocardiogram (ECG), and physical examinations, were assessed. In addition, the investigators sought to determine clinical efficacy of the study drug as measured by mean changes from baseline to 12-week follow-up in pulmonary function tests (forced vital capacity [FVC] and hemoglobin-corrected diffusion capacity for carbon monoxide). While approximately 83% of patients had ≥1 AE during the study, most events were mild or moderate in severity. Only 3 patients experienced severe AEs, none of which were related to the study drug. Similar pharmacokinetic profiles were found in the PBI-4050 alone and PBI-4050 plus nintedanib groups. The investigators observed no differences between the PBI-4050 plus nintedanib group and PBI-4050 alone group with regard to the change in mean FVC from baseline to week 12 (0.06% [P =.9513] and 1.87 mL [P =.9539] vs –1.11% [P =.4759] and –12.2 mL [P =.7959], respectively). A significant mean decrease in FVC from baseline to 12-week follow-up occurred in the PBI-4050 plus pirfenidone group (–2.69% [P =.0240] and –102 mL [P =.0124]). Limitations of the study included the small cohort, open-label design, and short follow-up, as well as the lack of randomization and a comparative control.